Led by Professor Shirley (Xiao Yu) Wu, our research is centered on advanced pharmaceutics and drug delivery technologies. 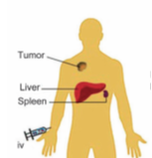 The goal of our research is to develop novel drug delivery strategies and systems to enhance treatment of major diseases such as cancer & diabetes. Innovative approaches have been undertaken to achieve this goal by integrating multidisciplinary techniques and knowledge including micro- and nanotechnology, chemistry, computer simulation, engineering, pharmaceutics, pharmacology, and oncology. Our research program is highly interdisciplinary which bridges bio-sciences, materials sciences, physical sciences with clinical applications. Wang, Z., Zhang, R.X., Zhang, T., He, C., He, R., Ju, X., Wu, X.Y., (2018) In Situ Proapoptotic Peptide-Generating Rapeseed Protein-Based Nanocomplexes Synergize Chemotherapy for Cathepsin-B Overexpressing Breast Cancer. ACS Applied Materials & Interfaces. 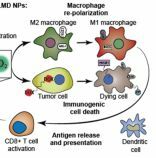 Amini, M.A., Abbasi, A.Z., Cai, P., Lip, H., Gordijo, C.R., Li, J., Chen, B., Zhang, L., Rauth, A.M., Wu, X.Y., (2018) Combining Tumor Microenvironment Modulating Nanoparticles with Doxorubicin to Enhance Chemotherapeutic Efficacy and Boost Antitumor Immunity. JNCI: Journal of the National Cancer Institute. 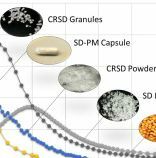 Lugtu-Pe, J.A., Ghaffari, A., Chen, K., Kane, A., Wu, X.Y., (2018) Development of controlled release amorphous solid dispersions (CRASD) using polyvinyl acetate-based release retarding materials: Effect of dosage form design. European Journal of Pharmaceutical Sciences. Zhang, R.X., Li, J., Zhang, T., Amini, M.A., He, C., Lu, B., Ahmed, T., Lip, H., Rauth, A.M., Wu, X.Y., (2018). Importance of integrating nanotechnology with pharmacology and physiology for innovative drug delivery and therapy – An illustration with firsthand examples. Acta Pharmacologica Sinica. He, C., Li, J., Cai, P., Ahmed, T., Henderson, J.T., Foltz, W.D., Bendayan, R., Rauth, A.M., Wu, X.Y., (2018). Two-Step Targeted Hybrid Nanoconstructs Increase Brain Penetration and Efficacy of the Therapeutic Antibody Trastuzumab against Brain Metastasis of HER2-Positive Breast Cancer. Advanced Functional Materials. Chen, K., Chang, H.H.R., Shalviri, A., Li, J., Lugtu-Pe, J.A., Kane, A., Wu, X.Y., (2017). Investigation of a New pH-responsive Nanoparticulate Pore Former for Controlled Release Enteric Coating with Improved Processability and Stability. European Journal of Pharmaceutics and Biopharmaceutics.